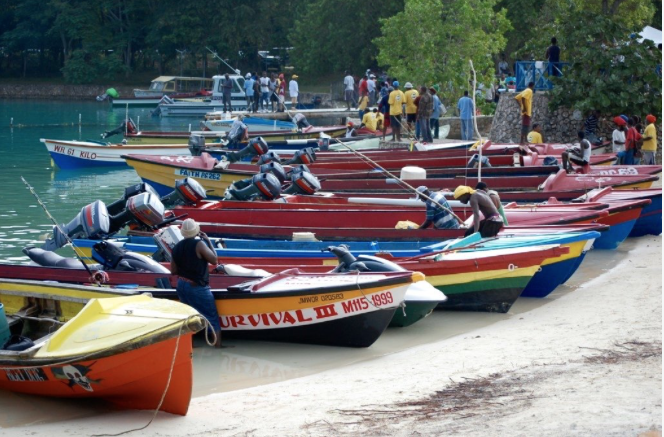 Oracabessa is primarily a fishing community with local fishers playing an important role in the social and economic fabric of the area. Unfortunately, these fishers' livelihoods are under threat. Jamaica's waters are some of the most overfished in the world, forcing fishers to spend more time and more resources chasing after a catch that is getting smaller and smaller. The reduced income from a smaller catch means families already on the brink are pushed further below the poverty line. The Oracabessa Bay Fish Sanctuary is helping to ensure the sustainable livelihood of local fishers. Since 2011 the Fish Sanctuary has seen a 1,300% increase in fish biomass and fishers are now catching more pounds of fish outside of the sanctuary than they were before within the Bay.